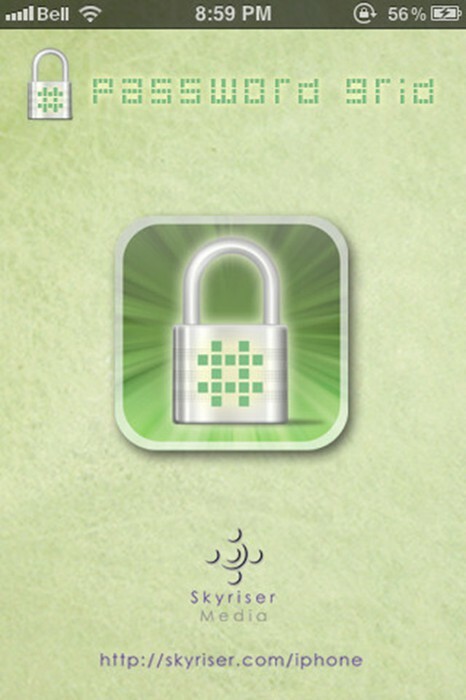 Welcome to Password Grid! 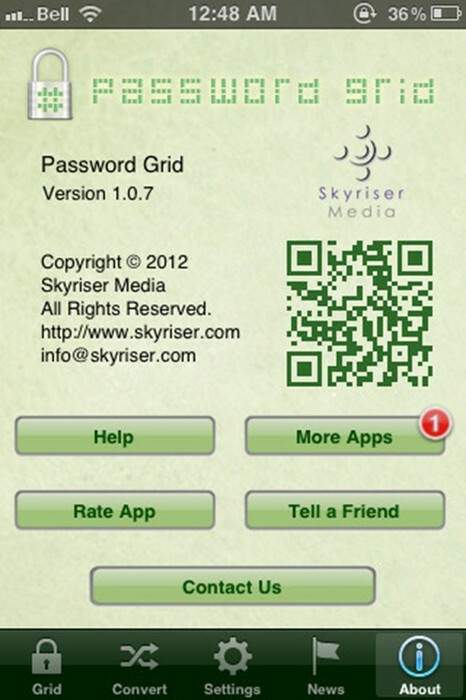 A secure password generator for iPhone. This is exactly what Password Grid does. It helps you generate a random grid of characters, based on a key you choose. 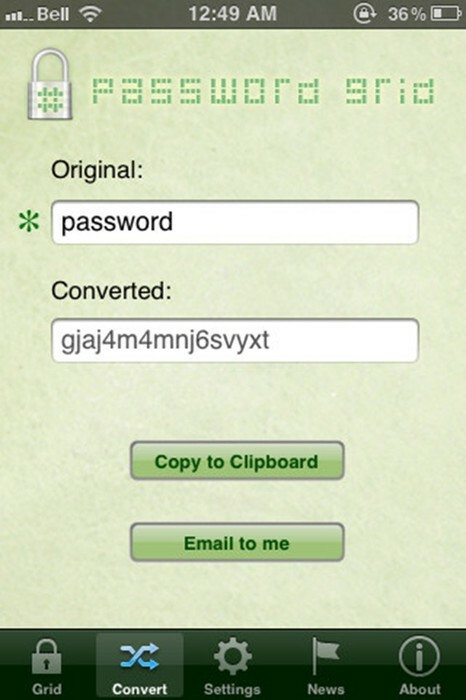 You can have your converted passphrase copied to your clipboard or emailed to you for quick access. 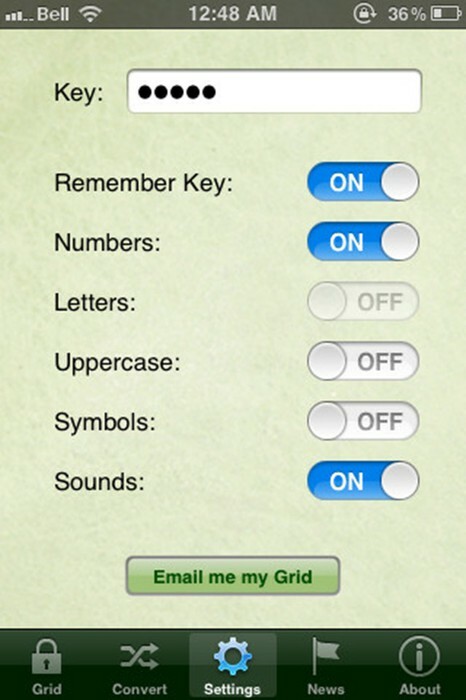 You can customize the grid generation complexity, with uppercase letters, numbers and symbols, which makes your encrypted passwords much more secure. "I like it, it's simple, polished, and saves me from remembering complex passwords." "This is awesome my friends were fooled they couldn't crack my message!" 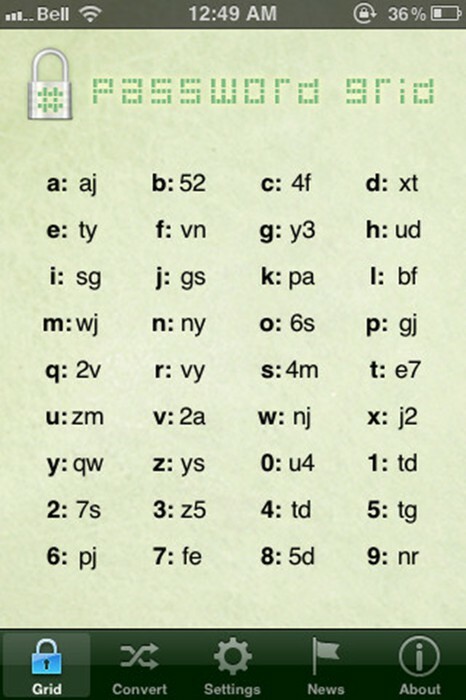 "Very slick and creative way to help people generate and rememer strong passwords! Good work guys..."